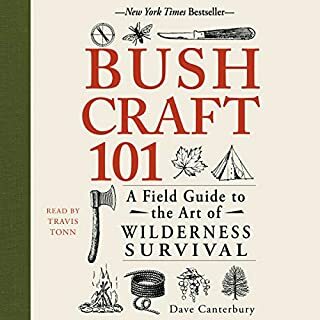 Learn the insider secrets, strategies and DIY hacks to survive in the wild and make it out alive! Are you ready for survival in the wilderness? Would you know how to provide shelter, food, and water for you and your loved ones? You may be living a comfortable life right now, but that could soon change. A natural disaster could wipe out your entire area. Or you might have to escape and find shelter after an attack. 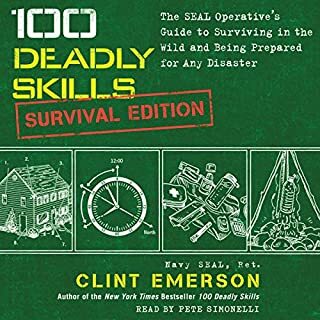 This Outdoor Survival audiobook is jam-packed with survival tips and tactics for staying alive in the woods. 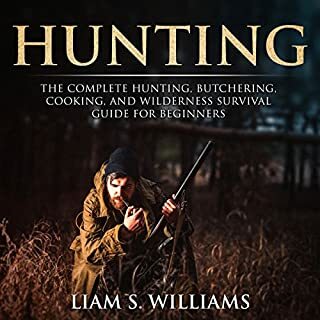 By listening to this audiobook, you will learn all the outdoor survival skills you need to warrant long-term survival! These actionable survival tips will help you to keep your head cool when it really matters. When others panic, you will know what to do to make it out alive and prosper. 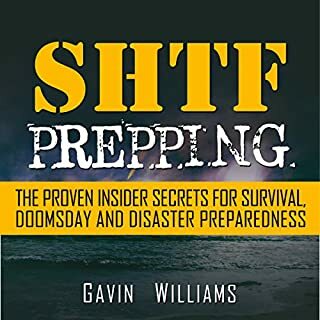 This book gives you a good overview of what you'll need to know in order to survive. It isn't a complete guide, but for anybody first starting out and not sure what all they need to learn it gives a good 101 overview so you can figure out what you still need to learn. There are better survival guides for sure. I wouldnt say it's worth the one credit. the narrator was very captivating though. If you’ve never thought about or read about the topic and want an overview, this may have some use to you. If you have any experience at all, go ahead and skip, as this had very entry level information. I value every single recommendations this book has served, but I appreciated more the attitudes one should adapt when faced with dangerous situations. Basic survival skills plus positive mindset will lead you to succeed. Has some very clever, every-day objects which can be used for survival. Everyone can use these great ideas no matter where you live or how old you are. I was looking for a helpful guide for the situations of disasters and this one fits all the requirements for such books. These hacks and tips are very useful. While listening this book, I was learning how to survive in critical and dangerous life situations. Well-done for this book. It has listed survival hacks and has given rationales for each hack. You may never know when emergency situations may arise especially when you’re out there wandering in the woods, camping, cycling, mountain climbing, and the likes. Better prepared than sorry. So books like this must not be taken for granted. The thing is, the writer has structured this listening material in a constructive and organized way making it easier for readers to remember the details. The contents that I found highly useful are basic food preservation and water purification as I have kids with me. 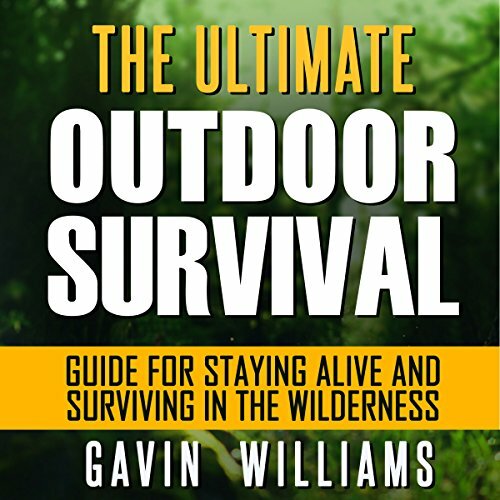 The book has plenty of great stuffs to share about outdoor survival. While some of the hacks may be simple, they are crucial for survival. I appreciate Gavin Williams for being thorough in his discussion. Now I’ve finally understood completely why learning even few wilderness skills can make a difference! 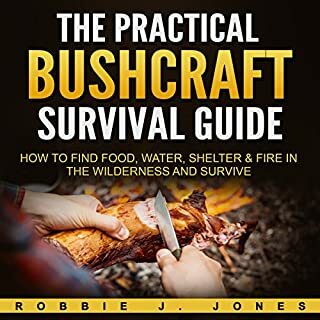 The book has focused on the traditional outdoor survival skills which also suits me fine as we still use them until now. The audiobook has been educative enough, thus I’m highly recommending it! I may never know when accidents may happen, so being well-versed with these survival strategies is a must! I go for the nice introduction of this book. And I almost got carried away with the voice of the narrator. Cool DIY open-air survival hacks! Wow! Cool open-air survival hacks! For a beginning adventurer like me, I found these highly useful. I like how the book started with setting the proper mindset. Yes, that really makes sense. Then acquiring the necessary survival kit. 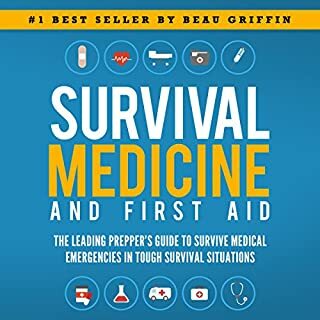 I don’t have to get a separate book about survival kit as the author of this audiobook has included brief but concise recommendations that I’ll be following.